Today I have a guest post from my friend and colleague Rory Green! A fundraising book review as well; since I’m a fan on life-long learning, I hope you enjoy this as much as I did. And thanks again to Rory for taking time from her schedule to share her take on this book. Recently in Toronto at AFP Congress, I heard Tom Ahern speak about writing fundraising copy. Tom gave the book – “The Fundraiser’s Guide to Irresistible Communications: Real-World, Field-tested Strategies for Raising More Money” by Jeff Brooks – a big thumbs up in his presentation. Tom encouraged us all to rush out and buy it – and buy it I did. Jeff runs one of my favourite tough-love Fundraising blogs Future Fundraising Now. I had high hopes for this book and it didn’t disappoint. First, let me warn you: this book might offend you. It is unapologetic about the claims it makes, and the myths it dispels. Luckily these claims are backed up by years (and YEARS) of research and testing. Jeff’s theories and ideas are all based on tested donor behaviour – what donors DO not what they SAY. 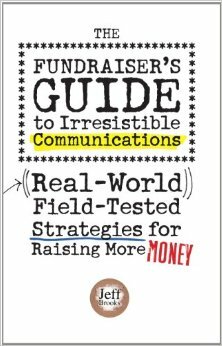 This short, well written, and helpful book is a powerful call to action to do fundraising well. It makes a passionate case for why we should love and treasure our profession. Your personal preferences aren’t important – nor are your charity’s for that matter – think instead about what is best for your donor. You have no business choosing what you consciously like over what will raise more money. Urgency is important. You must give donors a problem to solve and a reason to do it TODAY. Keep it simple – it’s fundraising, not a master’s thesis. Don’t make your donors work to understand your fundraising materials. Stories over statistics, and emotions over bland corporate speak. It’s about the donor – not your organization. Good fundraising copy is plain, corny and obvious. The book ends with the author’s personal story of philanthropy in his life – and why fundraising is a profession worth being proud of. It was both touching and inspiring. Chapter 18 is particularly beautiful and moving. This is a book you can read in a day, or over a few nights, and you will be glad you did – you will take from it tools to be a better fundraiser and feeling proud to be one. Rory started fundraising at 10, when she volunteered to help run her school’s annual Bike-A-Thon for juvenile cancer research. Fundraising became her vocation at 14, when she lost a friend to leukemia. 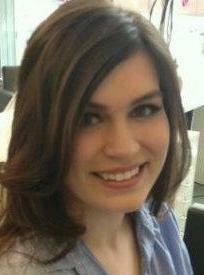 Her previous experience has been with the Ottawa Hospital Foundation and the Canadian Cancer Society. Currently a Senior Development Officer with the British Columbia Institute of Technology, she leads the fundraising efforts for the School of Health and School of Computing. Working in major and corporate giving, she works to connect donors with opportunities to invest in education and healthcare. 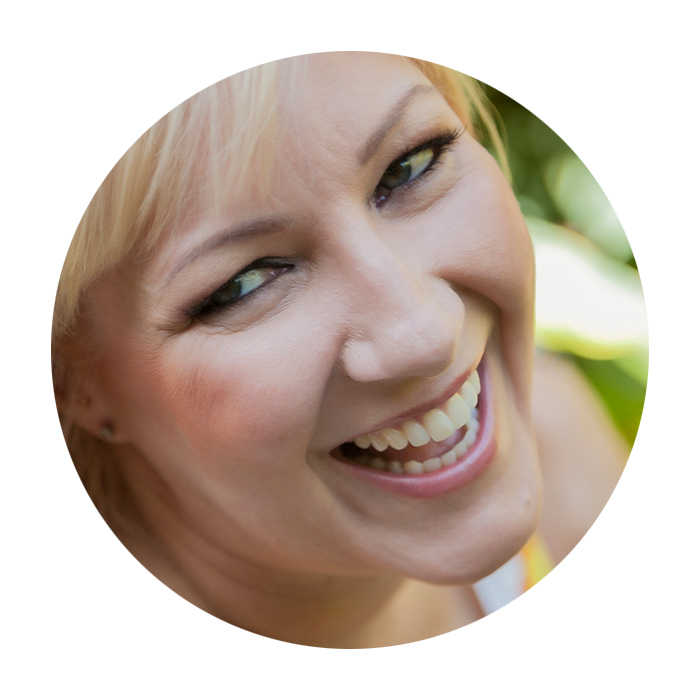 In her spare time Rory is the founder and editor of Fundraiser Grrl, the fundraising community’s go-to source for comic relief. LOVE this book! As you say, short, filled with information you can act on right away – the distilled essence of years of study.